Where did the soundsticks go in your new setup Macscientistuk? I'm thinking about buying a pair of soundsticks... Do you like the sound? ... Do you like the sound? I do indeed love the sound. It is fantastic. I've had my soundsticks for about 4/5 years now and they rock! Nice Powerbook Argonian! Love the desks too. That's my eMac, Wacom, and iPod sitting in home-made cardboard dock. Interests:Macs, gaming, fiction, friends, comedy, and much more. My lovely ViewSonic monitor and my Mac mini. 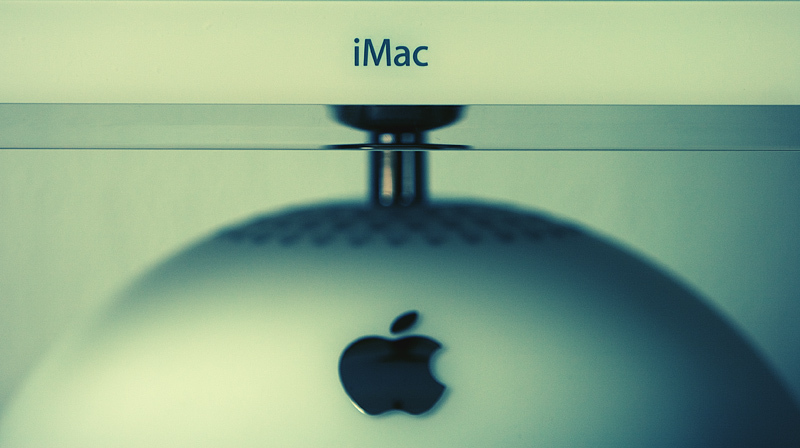 The Mac mini, up close and personal. My Mac mini again, my keyboard, and the bottom part of my monitor. If there is no image below, I don't know how to add one to a post. If you see no image, please let me know how to add an image to a post. Thanks. Don't know why I didn't notice this thread before! Nice setup webkat. I should probably take a picture of mine. I can honestly say that Logitec keyboards and mice are extremely durable. Sorry if it's a little big, but yeah. I have that same desk! *Drools* Man your set ups rock! And I thought I was good! Just remember Macs are rather expensive for us New Zealanders! But I'm still pretty proud of it considering I'm only 16 and paid for all of it! 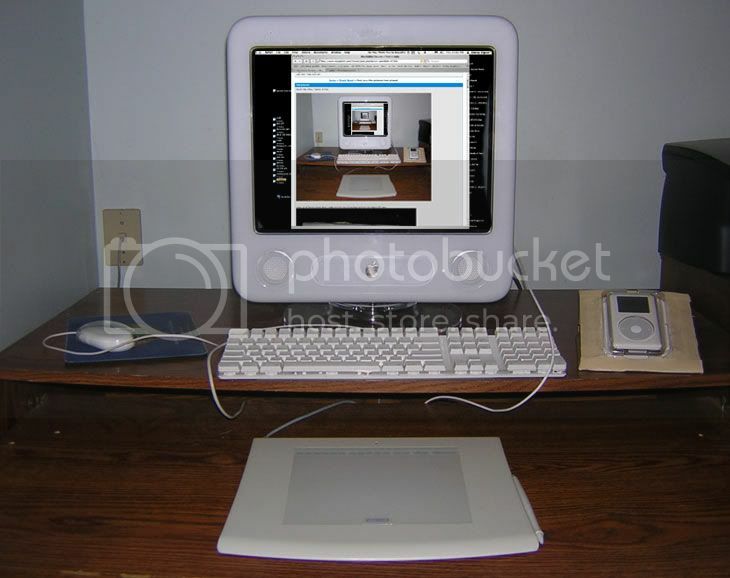 In my picture I don't have my Mac Mini, old G4 or lol my VERY old Macintosh SE, my first computer, I adored it! the keyboard and all it just blows my mind, will post a pic of my precious soon. Here's the pb at the home base. The maid has the day off.